Back in 1988, DC Comics introduced its first openly gay superhero, Extrano, in the pages of the company-wide crossover event Millennium. Extrano and his fellow New Guardians were not popular with readers, and the book was canceled after only 12 issues. This reduced what should have been a milestone to a mere footnote in comic book history. Four years later, long-rumored gay superhero Northstar came out in the pages of Marvel’s Alpha Flight. To most, he’s considered to be the very first out superhero. We’ve since come a long way, with numerous gay, lesbian, bi and trans characters appearing in team books. Some even star in their own titles. 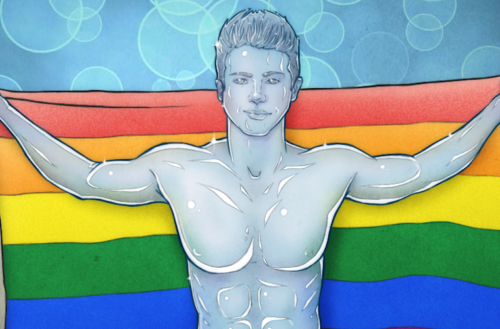 Here are three current ongoing titles headlined by gay characters. These are all in their early issues, which means you can easily jump in and enjoy without worrying about missing too much backstory. America Chavez is young, Latin, queer, hails from an alternate dimension, has super strength, can fly, is the leader of a super-team called “The Ultimates,” is tough-as-nails, can punch holes into other dimensions and is a full-time student at Sotomayor (yes, that Sotomayor) University. What can I say? She busy. 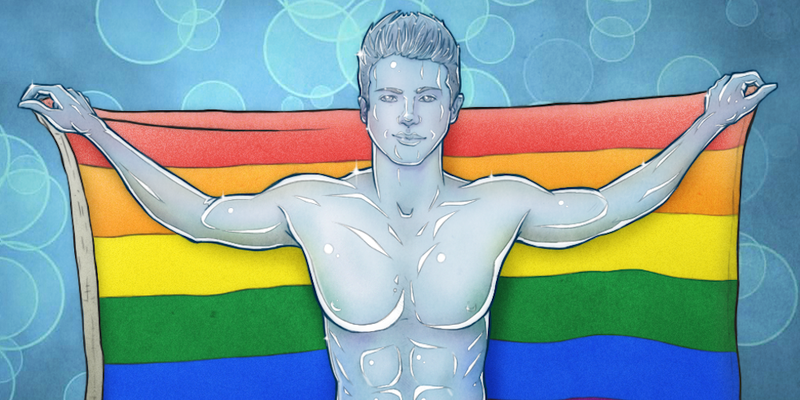 What do you do when a younger, time-traveling version of yourself comes out of the closet? That’s what Bobby Drake, the Iceman we all know and love, must ask himself. Being an X-Man, persecuted as a mutant, dating men, dealing with his past “straight” relationships, coming out to his parents — it’s hard not to identify in some way with this book. I gave a pretty thorough rundown on the openly lesbian Batwoman character in my recent look at superheroines who deserve the Wonder Woman treatment. And while you can easily jump on board with this current ongoing series, I’m going to assign you some homework: While it won’t affect and isn’t necessary to your enjoyment of this comic, do yourself a huge favor and pick up a hard copy or download Detective Comics #854-860. Written by Greg Rucka and illustrated by JH Williams, it is truly some next-level, beautiful, visual storytelling. Those issues are comics at their finest, and I can’t recommend them enough.